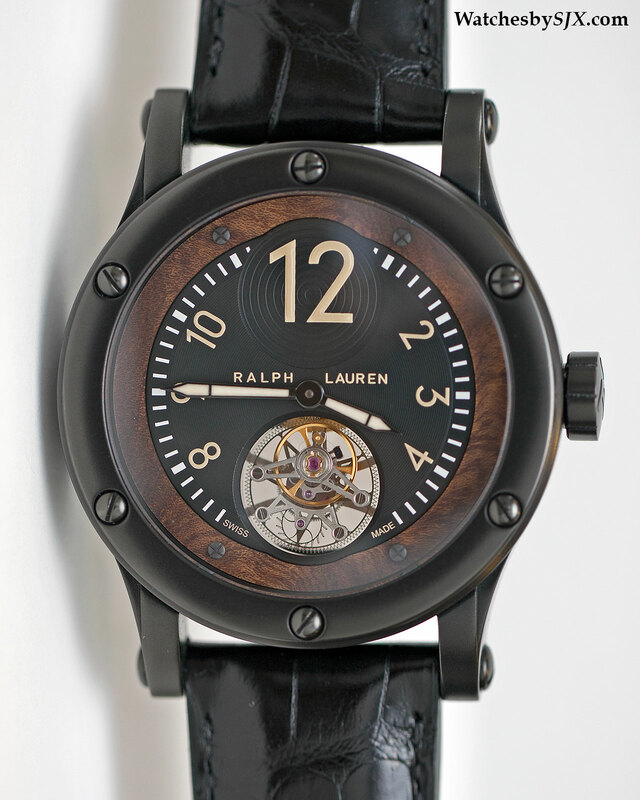 Powered by a movement made by La Fabrique du Temps, the Ralph Lauren Black Safari Flying Tourbillon has a black finished case and a burl wood dial inlay, an aesthetic inspired by a Bugatti 57SC coupe from the designer’s legendary car collection. 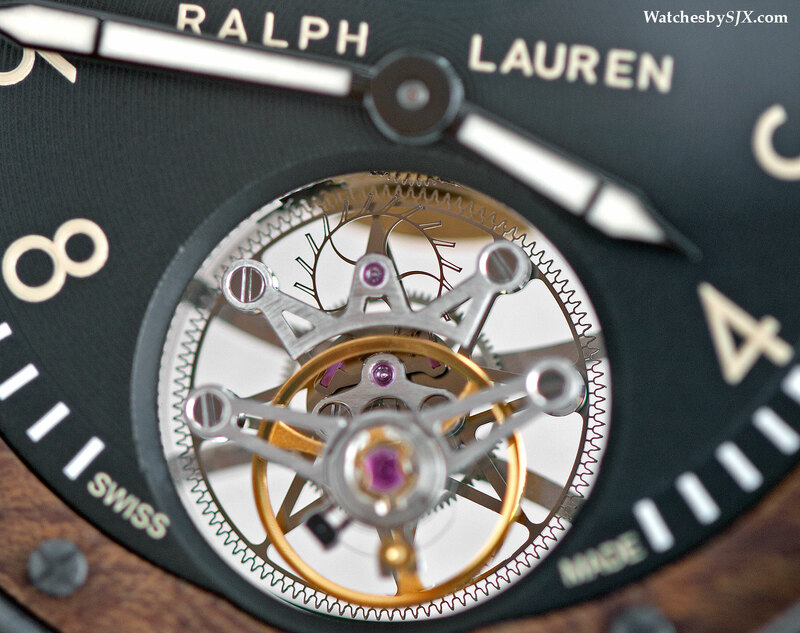 Ralph Lauren is not a name synonymous with watches. Despite their technical and aesthetic merits, the brand’s horological endeavours have met with a tepid response. 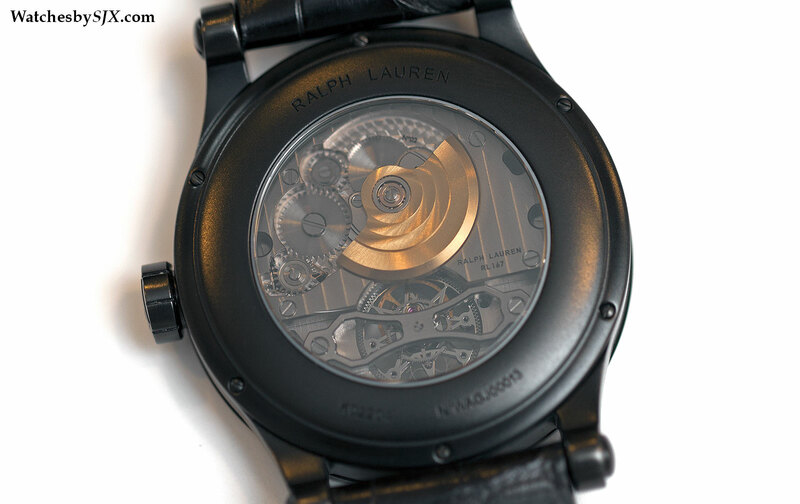 Putting the branding aside, Ralph Lauren watches are well made and designed, with most equipped with respectable calibres from Richemont brands like IWC and Jaeger-LeCoultre. 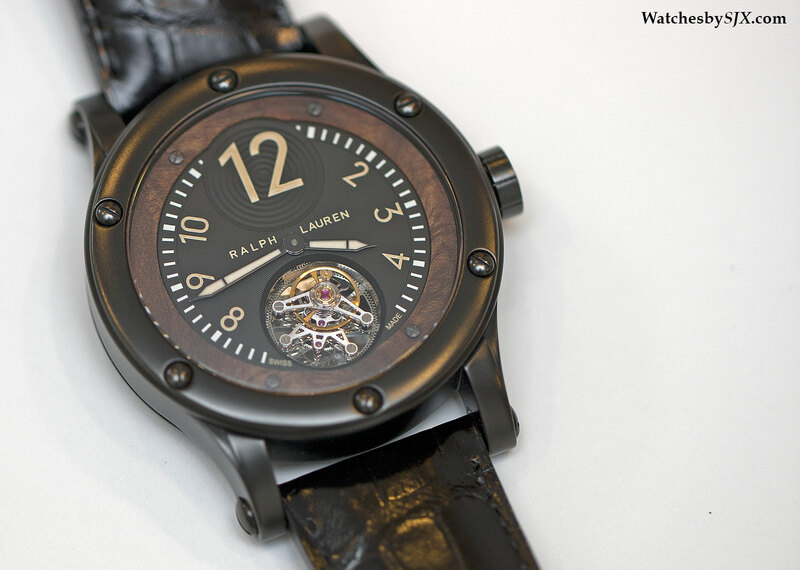 For its latest complication Ralph Lauren once again relies on outside expertise. The he Black Safari Flying Tourbillon has inside the RL167 movement, a self-winding, flying tourbillon movement made by La Fabrique du Temps. Now owned by LVMH, they are the outfit that brought you the wonderful timepieces of Laurent Ferrier. 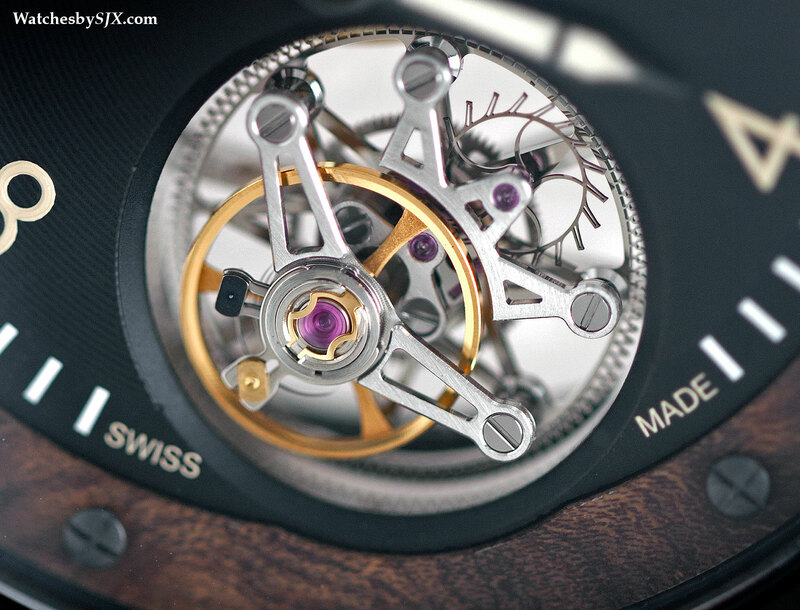 The movement COSC-certified, the movement is wound by a micro-rotor, with a 40 hour power reserve. This base calibre can be found in watches from Corum and Louis Vuitton, amongst others, though Ralph Lauren has exclusive rights to the version with a flying, as opposed to bridged, tourbillon. Being a flying tourbillon it is only pivoted on the base plate, the tourbillon carriage is entirely visible in the front. From the back the movement is visible through a grey-tinted sapphire crystal – the movement itself is rhodium-finished as per convention. A Bugatti-inspired design The aesthetic is inspired by the Bugatti 57SC Atlantic coupe owned by Ralph Lauren – one of only two in the world – with the elm burl wood dial resembling the car’s dashboard. This wood inlay is also found on the Ralph Lauren Sporting Automotive wristwatch, the first Bugatti-inspired timepiece in the collection. To balance the tourbillon carriage at six o’clock, the “12” numeral is oversized and placed inside a recessed circle decorated with concentric guilloche. At first glance this is unsettling, but it actually works well in creating symmetry on the dial. 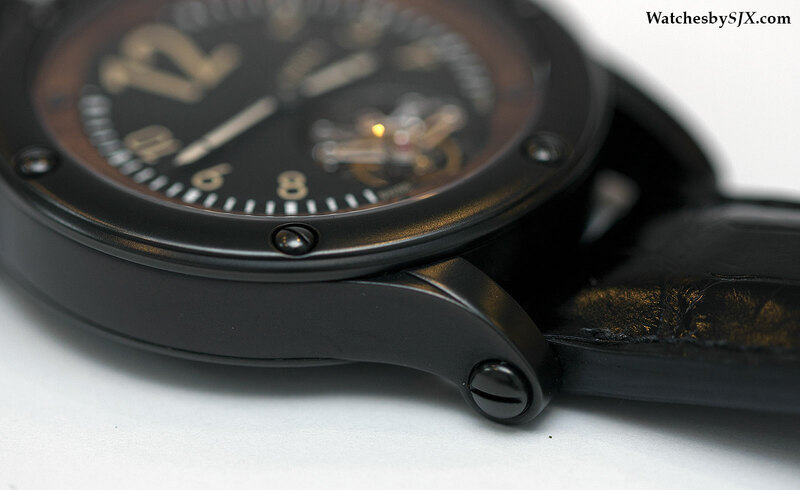 Finished with a black PVD coating on its sandblasted surface, the steel case is 44.8 mm in diameter with large screws for the bezel. The lugs are stepped, adding a touch of refinement to an otherwise rugged look. The case has a slightly aged appearance, created on purpose, most likely by tumble polishing. This suits the vintage safari aesthetic, which also extends to the ivory-coloured Luminova on the numerals and hands. It must be said, however, a similar look is available in the entry level RL67 Safari Chronometer. Ralph Lauren watches are usually well designed, with good proportions and colours, and an obvious aesthetic theme, which in this case is the safari-expeditioner look. But because Ralph Lauren is so strongly associated with polo t-shirts, it is hard to swallow the same label on the dial of a watch priced like this. 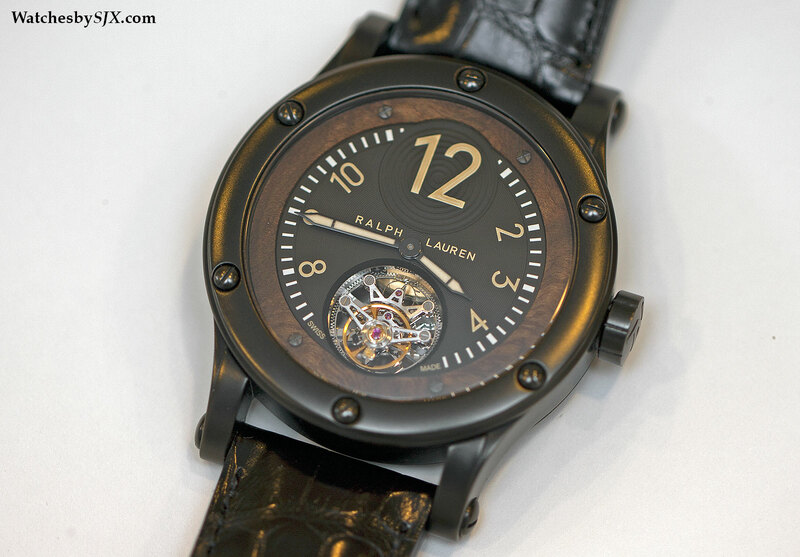 The Black Safari Flying Tourbillon is priced at 109,500 Singapore dollars (about US$87,600) including 7% tax.